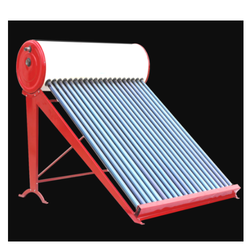 Our product range includes a wide range of etc type solar water heater. Leveraging upon our experienced team of professionals, we are able to provide our clients with a superior quality range of ETC Solar Water Heater. Solar Water Heaters are extremely economical for hotels, company canteens, Resorts, Institutions for their Hot Water requirements. On safety standards, our quality inspectors inspect this on various quality matters to ignore any accident while using this water heater. This water heater is commonly use in commercial and residential areas and highly acclaimed for its noise free operation and pocket friendly prices.